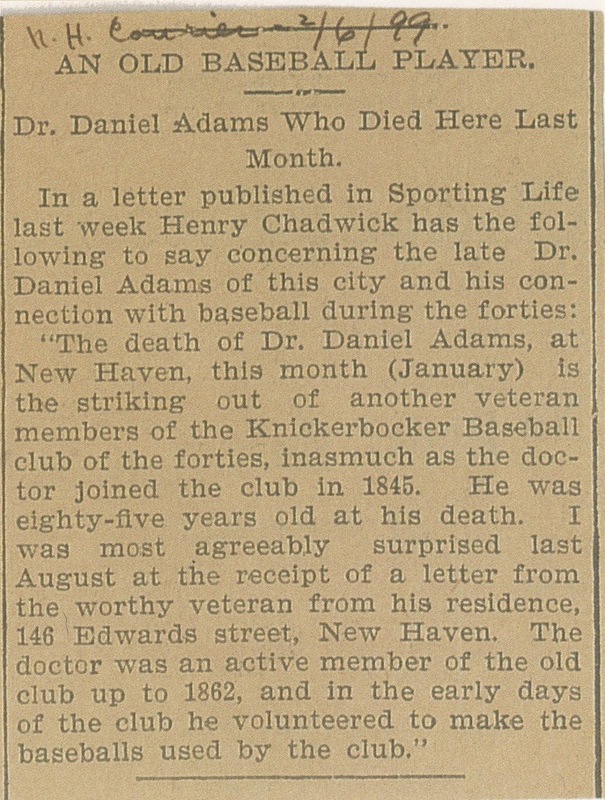 On January 31, 1899, Henry Chadwick wrote to the editor of the Sporting Life with reminiscences of his late friend and baseball pioneer, Dr. Daniel ‘Doc’ Lucius Adams. The letter was published on the front page of the February 4, 1899 edition. On that same day, Doc Adams was also remembered by Mr Chadwick in The Sporting News.